In order to gain total health, it is necessary for the spiritual life to become the base of our ordinary life. The people of this century have been thinking that spiritual life should be led for the sake of improving the physical life. We have put the cart before the horse. We consider the physical life as the base and the spiritual life as the adjunct, but it should be the other way around. Man’s life is essentially spiritual; the physical life is just one part of his existence. In the same way we have been making many mistakes. We say, ‘Oh, the divine is within us’, as if we were the containers of the divine. When actually it is we who are in the divinity, not the divinity which is in us. This is a different way of thinking which must be developed in order to correct the errors of body, mind and soul, and create harmony on all levels of our being. “The great Advaita Vedantin Adi Shankaracharya held that monism is the truth of reality. 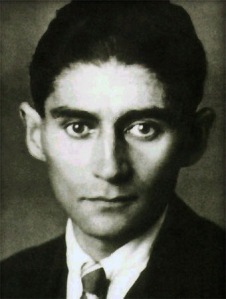 However, even this great exemplar of monism, who recommended the practice of study, contemplation, and meditation as fundamental techniques, also modeled the beauty of devotion to the divine. “He accepted that before reaching Bindu, or when one is not in a Bindu state, the temporary acceptance of a Higher Power (Shakti, in his case) was useful in reaching the experience of monism. His great hymn to the Divine Mother, Saundarya Lahari, describes the relationship of Shiva and Shakti and explains elements of Kundalini science. Apparently Maharishi Mahesh Yogi said that it is easier to get enlightened than to get rid of bad habits. This is a snippet of an article by the American-born Ram Puri who went to India at age 19, became a sadhu and has been there ever since. HH [the Dalai Lama] put on a great show, he was funny, profound, inquisitive, and little naughty – this was high quality entertainment. Thank Goddess there is a human being like him around for the betterment of the world and all who make some sort of contact with him. But, excuse me, this IS show biz. We are in a new age and it seems that without show biz there is no biz. I have no problem with that, especially if it’s in good taste. PS His book is an outstandingly good story. 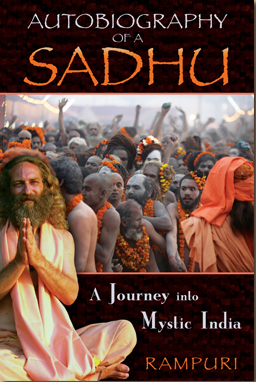 Highly recommended to anyone interested in traditional India spirituality. You need not leave your room. Remain sitting at your table and listen. You need not even listen, simply wait. You need not even wait, just learn to become quiet, and still, and solitary. You are currently browsing the SunYogi Blog blog archives for June, 2010.